OUR MAIN FOCUS: To KNOW GOD and MAKE HIM KNOWN! As we strive to LOVE GOD and LOVE OTHERS, we believe every student is important and valuable. We seek to provide an atmosphere where each student can be who God has created them to be and become all that God has in store. Sundays: Small group Bible Studies during both worship experiences. These groups are designed to engage students in biblical discussions along with real-life applications. Our goal is to encourage and equip students to be a catalyst for the Gospel wherever they are. Catalyst is a time where students gather together for food, games, authentic worship, Bible Study and small group discussions. Thank you... for being on the Community Student Ministries team! 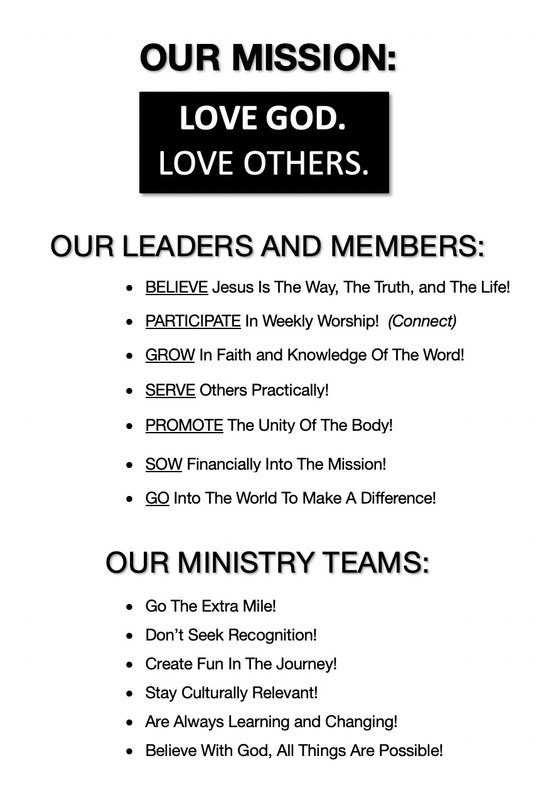 Here are a few reminders of what we desire for you and from you. Much of this information comes from the "Leading and Serving At Community," the guidelines every volunteer and staff member is asked to follow. If we all strive to do this while we love on students and their parents, God will be glorified, and we will enjoy His abundant blessings in this ministry!